I'm not going to invest in Indian markets in 2018, although I repent I should have invested here in 2016-17, says Jim Rogers. 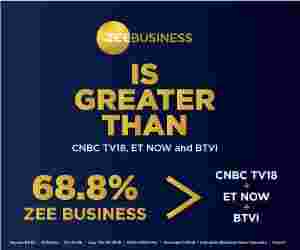 Levying long-term capital gains (LTCG) tax is a mistake, said ace investor Jim Rogers in an interview with Zee Business. He also said he expects at least 10-20 per cent correction in India and would not like to invest in the country in 2018. He, however, regretted for not having invested in 2016-17. "India is a country that needs capital, both foreign and domestic. I don't know what PM Narendra Modi is up to, but I believe LTCG tax will not be good for Indian economy," said Rogers. "History shows without fail that whenever you levy a tax on something, you have a less of it. People don't use it that much. That said, I'm sure India will have less foreign investment. LTCG tax is a mistake," he added. The legendary investors further said re-introducing LTCG has made India less attractive for foreign investors, and they may flee to other markets. "The Indian government felt everyone has made a lot of money, and they won't mind paying taxes, but people will mind it. They will look for other markets, he said. Rogers also feels that the Indian markets may correct by 10-20 per cent, while US markets are also overdue correction. "Everybody had a good year. Markets everywhere are overdue correction. I expect 10 per cent correction in US. You'll see correction at least till March," he said. Rogers also noted that investing in dollar is unadvisable. "Dollar is now going up, because when people worry about market, they look for safe heaven. Dollar is not a safe-haven, but people think it is," he said. Rogers believes year 2018 could be bad in terms of political turmoil, 2019 worse, and 2020 could be even worse. "Whenever you have economic turmoil, it leads to political and social turmoil. I suspect year 2018 will be bad, 2019 be worse and 2020 would be really bad," he said.